It’s a great feeling when you know that you can call a reliable 24h towing company in Mississauga isn’t it? You know that you don’t have to worry about the quality of service you are about to receive. You know that you don’t have to worry about outrageous prices, or shady business people. Titanium Towing Mississauga has one of the best reputations around, and we are proud of that fact! You see, when you work with us, you always get excellent & professional towing service! We operate on a 24 hour a day basis with each of our tow truck drivers striving to ensure a 30 minute or less arrival time. When you choose us, we make sure that customer satisfaction is guaranteed! You can see that we’re proud of the fact that we operate on a 24 hour basis. That’s because we understand what it’s like to be all alone at some hour of the night when most others are asleep, standing on the side of the road next to a broken down vehicle. It’s not a nice feeling at all, wondering who will be kind enough to help. We’ve been there! That’s why we ensure that one of our friendly customer service representatives is always standing by the phone, ready to take your call at any time of day or night. When you call, you can be sure that help is on the way. Within just 30 minutes of your call, you’ll discover that a Titanium Towing professional tow truck driver is pulling up at your location, ready to safely and effectively load up and tow your vehicle to any garage or other location of your choice! 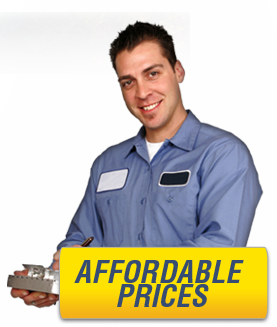 Titanium Towing Mississauga offers highly affordable and budget friendly prices. Everyone deserves help when an accident or some other car emergency happens. That’s why our services are always reasonably and fairly priced. You will never find that there is a hidden fee associated with any of our services. In fact, we invite you to call us, let us know your issue and then ask for a free, up front quote. We believe that if you know there is a reliable Mississauga towing company that’s just a phone call away, it will put your mind at ease when car troubles arise. Remember that, when you call, someone will always be there to answer. The appropriate professional will be dispatched to your specific location and whatever issue you are facing will be quickly and efficiently dealt with.